The Alaskan Malamute originated at least four-thousand years ago with a group of Eskimos called Mahlemuit Inuits. Malamutes were probably among the first breeds to be domesticated. Their reputation for great strength, courage, endurance, and loyalty made them great family pets and fantastic freighting dogs. They were capable of pulling a tremendous amount of weight over long distances at a steady pace, even in extreme conditions. 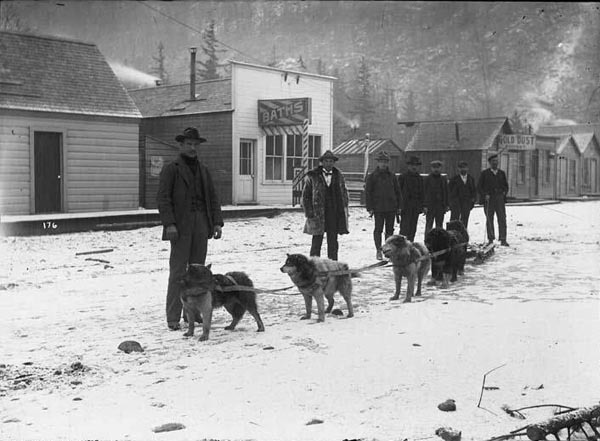 With the onset of the Klondike Gold Rush in 1896, prospectors began to realize the need for hardy dog teams that could pull heavy freight. The Alaskan Malamute became the most prized dog. Not only could malamutes pull heavy loads, but they required very small quantities of food for their size compared to other breeds of sled dogs. Even at that time, a good malamute would cost a prospector about $500. 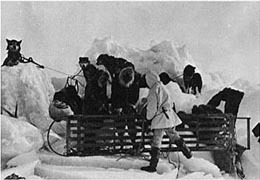 Dog teams became the primary method of hauling freight. The teams even proved themselves useful for freighting in the summer months when they were hitched to small trams on the railroad or even to barges for hauling along streams. 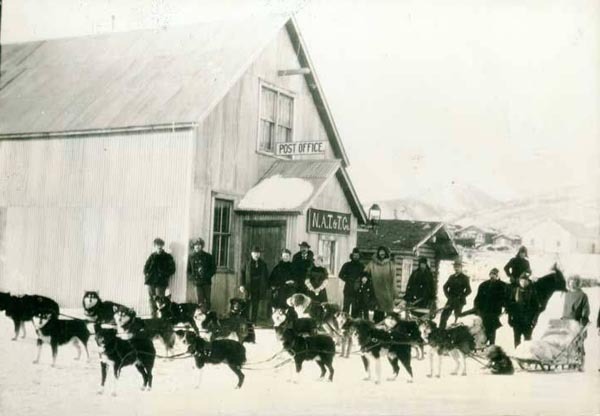 From the 1890's to 1963, Alaskan Malamutes were important to the mail service in Alaska and remote regions of Canada as the only reliable transportation. They were so important that a federal law required all other sled dog drivers to yield right-of-way to any mail-carrying team encountered. The peak of mail service dog teams was from around 1910 into the late 1930's. 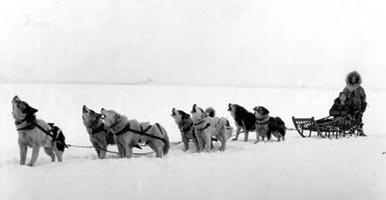 As the postal service began replacing dog teams with airlines, sled dog carriers were phased out. In 1963, the last U.S. Postal Service mail driver retired with his dog team. During WWII, malamutes were used to pull sleds in snow covered areas that were inaccessible to other means of transportation. They freighted weapons and ammunition and were also used as search and rescue dogs. Alaskan Malamutes have played a key role in countless expeditions. For example, a century ago Ernest de Koven Leffingwell harnessed the power of the Alaskan Malamute to map and explore Alaska's Arctic coast and what is known today as the Arctic National Wildlife Refuge. Hudson Stuck used malamutes to explore the remote areas of western Alaska in the 1920's. But the malamute certainly wasn't li mited to Alaska! Admiral Richard Byrd had malamutes in his dog team when he explored Antarctica on various expeditions from the 1930's through the 1950's. In the 1960's, Roger Burggraf used malamute teams to haul freight to climbers and explorers in Mount McKinley National Park in interior Alaska. He also used his malamutes to patrol the park during the winter months. Today, Joe Henderson (Alaskan Arctic Expeditions) uses malamutes to their full potential on remote expeditions in the Arctic and interior Alaska. He may very well have one of the largest working Alaskan Malamute kennels in the world. He strives to maintain an outstanding working breed of malamutes that truly exemplifies their inherent strength, courage, and loyalty.